If it feels good, wear it. When you are wearing work boots for extended time, wear two pair and alternate between the two, so the sweat from your feet can dissipate out of the leather in preparation of the next day. For you, this means dryer, better support, and longer lasting boots. This is a hardy multi-purpose Wellington boot. Name of "Stag". A Camo Wellington work boot, great for woodland or field adventures. Rub the foot with Sno-Seal to weatherproof this one. 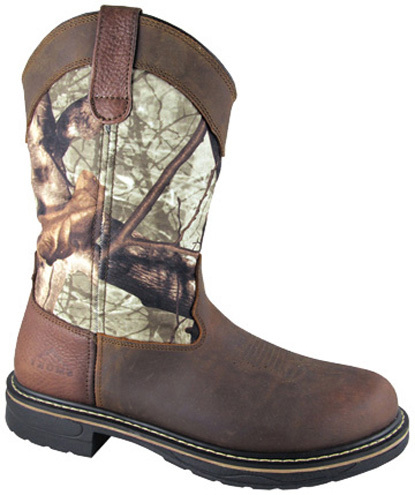 True Timber Camo makes this EH Wellington boot a favorite for barn or construction work.